Help her destroy the cancer monster. On Friday morning. September 28, Angelina went in to have her central line removed. That same day (and for days beforehand) she complained about a pain in her abdomen. Mom and dad demanded an ultrasound, and that is when doctors discovered that the cancer had returned in the form of three tumors–one on her liver (9 cm), one on her lungs (3 cm) and one on her kidney (3 cm). Doctors at the hospital where she has been treated the last 13 months said there was nothing else they could do for her. They recommended that the family find a new facility. So we did. Angelina is in a specialized hospital for children with cancer. All day yesterday and today, she’s been dragged through the same initial prodding and poking that she endured back when we first discovered she had cancer in August 2011. THANKFULLY, she has the gene required for her to receive a new kind of chemotherapy. After receiving radiation therapy to help shrink her largest tumor, she is right now fully sedated with tape on her eyes and tubes in her mouth. Doctors and nurses have to get Angelina to breathe on her own before they can continue to help her. THANK GOD she has this specific gene! THANK GOD doctors are working fast to help her. THANK you for praying. Keep praying! Ask God for full healing–supernaturally or naturally, whichever comes first!! We will keep you all posted. THANK you for caring!! Hope everything works out and will pray for her! She is beautiful… If you need anything I have connections at Sloan kettering Center in NYC please let me know if I could help with anything. I do work there for them so if you need it please dont hestitate! 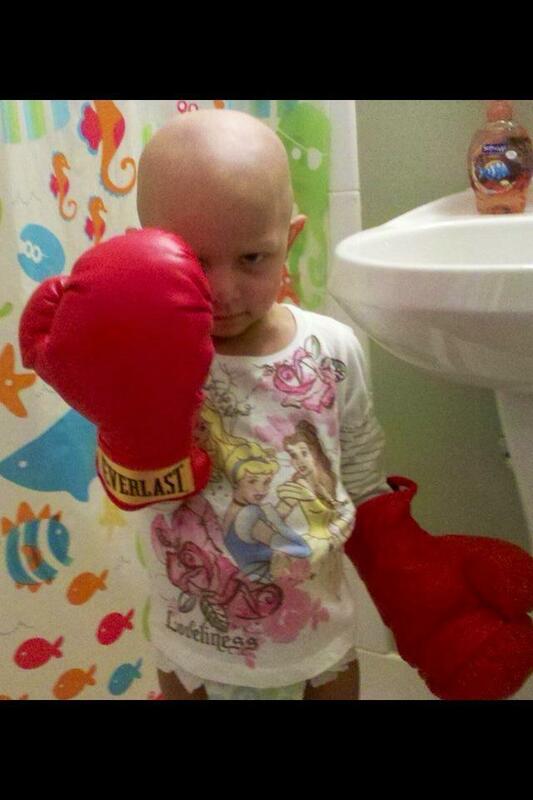 I really wish the best for this little fighter! She deserves it! I hope for a full recovery and soon! Get well soon fighter!! She is always on my mind and in my prayers. Angelina needs her parents to contact me as soon as possible. In combination to her treatments at the hospital, she needs the care of someone with the knowledge to help her completely. My friend, Jim Robertson, is this person. Jim knows what it will take to get her well. He owns a health food center in Tuscaloosa, Alabama, which is his ministry of God. He prefers to help people get well from all sorts of illnesses through natural healing than to make profits selling supplements, He offers solutions that are amazing when he could be selling expensive supplements to profit from people. Jim will help Angelina, guaranteed. He is a true miracle man. Get in touch with me at 205 394 6593 or hulseycreativeinnovations@gmail.com so we can get her on the way to a healthy life. I will look up Jim’s information and have it ready. Ah, here is his phone number. 205 758 9811. I’m working to set a website up for Robertson Health Center. Feel free to check out http://ci-robertsonnaturalhealing.intuitwebsites.com/ to learn more of Jim’s services. I rely upon Jim’s vast knowledge whenever I get sick or have health problems, as many people do…..
Angelina will be in good hands as soon as Jim educates her parents on how to get her well through natural healing, I’m sure of it, Prayer also will help….. Everyone pray for Angelina….. I certainly will…..
Jim will help Angelina, guaranteed. He is a true miracle man. Get in touch with me at 205 394 6593 or hulseycreativeinnovations@gmail.com so we can get her on the way to a healthy life. I will look up Jim’s information and have it ready. Ah, here is Jim’s business phone number. 205 758 9811. I’m working to set a website up for Robertson Health Center. Feel free to check out http://ci-robertsonnaturalhealing.intuitwebsites.com/ to learn more of Jim’s services. I rely upon Jim’s vast knowledge whenever I get sick or have health problems, as many people do…..
Angelina will be in good hands as soon as Jim educates her parents on how to get her well through natural healing, I’m sure of it. Prayer will also help….. Everyone pray for Angelina….. I certainly will…..
Wow. I’m just reading your whole story now. Prayers are coming your way. Are you at CHOP? If so I think you are at the best hospital, for childhood cancers. Stay strong. She is beautiful!!! I have a friend of a friend whose son is in remission from stage 4 neuroblastoma. Their site is http://www.facebook.com/ChaseAfteraCure or http://www.chaseringler.com and I’m sure there is more online. He had a uphill battle as you face and has come through after much fighting and research of his family. They are based in SC but did a lot of the med care in NYC. If you are interested in their treatment plan Chase’s mom Whitney Ringer would be a wonderful information source http://www.facebook.com/whitneyringler. Good luck to you and we’ll be hoping for you. We will keep her in our prayers! It’s a good thing you have taken her to the Children’s Hospital in Philly. I am sure she is in very good hands. The Physicians there are very skilled and awesome at what they do. Angelina has been and continues to be in my prayers as i know she is also on the heart of countless others. I pray the Lord to make a way where there seems to be no way, in addition to cooperating with the physicians, we ask the Great Physician to touch her and heal her. I also pray for the family, for this disease effects everyone and in many different ways. If there is anything i can do, just tell your mom….She’ll tell me! God bless you, and may He heal little Angelina! No More Chemo – Pray for a Miracle!